An article in Politico on the demoralization of workers in the federal government includes the report that officials at the National Archives and Records Administration forbid the presentation of a program on “the historic context of immigration to the United States because it might attract ‘unwanted attention’" and jeopardize NARA funding. 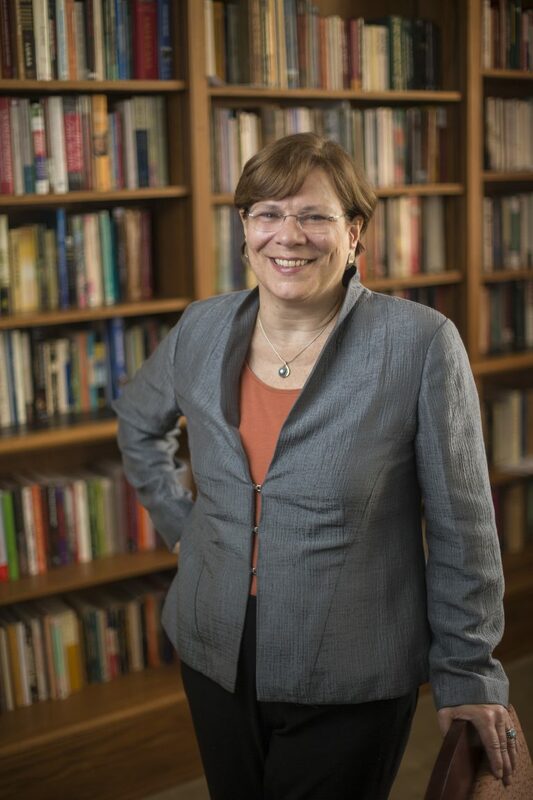 On Tuesday, April 10, 2018, at 4:30 p.m., at Barat House, Boston College Law School, BC’s Clough Center for the Study of Constitutional Democracy will host The Public Roots of Private Ordering: An Institutional Account of the Origins of Modern American Arbitration, a lecture by Amalia D. Kessler, Stanford University. We’re indebted to H-Law for posting Dominique Clement’s report that a complete collection of briefs to Canada's Special Joint Committee on the Constitution (1980-1) has been posted to Canada's Human Rights History. We realized the other day that the Great Courses is marketing a lecture series by Douglas O. Linder, University of Missouri–Kansas City School of Law, entitled The Great Trials of World History and the Lessons They Teach Us. For many years, Professor Linder has performed an invaluable public service by gathering well-chosen materials on dazzling and ever-expanding collection of famous trials and making them available gratis. If any professor deserves the patronage of the public for such a venture, he does! Harvard Law School hosted a panel discussion on George H. Gadbois Jr.' Supreme Court of India: The Beginnings this past week, featuring LHB blogger Mitra Sharafi, Mark Tushnet, and Sugata Bose. The session was chaired by Vasujith Ram, co-editor of the book, which is a posthumous publication of Gadbois' 1965 PhD dissertation. Here is an obituary for George Gadbois, who passed away in 2017, by the other co-editor of the book, Vikram Raghavan. On May 8, the Supreme Court Historical Society and the John Simon Guggenheim Memorial Foundation will cosponsor a conversation between Professors Randy Barnett and Richard Primus about Modes Of Constitutional Interpretation. Judge Patricia A. Millett will moderate the discussion. The Riots of 1968: Hitting Home Here in Washington, a presentation by Jamie Stiehm, a Creators Syndicate columnist, on Saturday, April 14, 1:00pm, in the Peabody Room at Georgetown Neighborhood Library. ICYMI: Jed Shugerman and Ethan J. Leib, Fordham University School of Law, on the Take Care Clause and presidential pardons, in WaPo. Also, we’ve previously noted the SSRN draft of Martin S. Lederman’s “The Law(?) of the Lincoln Assassination.” The article is now out in the Columbia Law Review 118 (March 2018): 323-489. 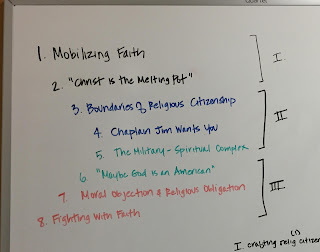 In my past couple of posts, I’ve written about figuring out the structure of a book and sculpting lively prose, but I’m often asked a more basic question: how did I finish Enlisting Faith? Part of the answer is that two consecutive 2-year postdocs made it possible. Postdocs are becoming more common for historians, and they can be beneficial and challenging to the dissertation-to-book process. A caveat: postdocs vary tremendously, so some of the benefits and challenges vary as well. Nevertheless, I learned a lot from hearing about the experiences of colleagues, and I offer my reflections in that spirit. One of the biggest benefits of a postdoc is time. Here, I’m referring to a postdoc that is actually a postdoc, with ample time for research and light teaching responsibilities (rather than a visiting lecturer position in disguise). When I defended my dissertation in May 2014, one of my committee members made me promise to take a real vacation (which I did) and others instructed me to set aside the dissertation for months before tackling it (which I also did). After arriving in St. Louis to start my first postdoc, I spent much of the fall catching up on secondary literature, letting my mind wander, talking to new colleagues, and thinking about book structure. I did very little actual writing in this period, which was necessary to return to my manuscript with fresh eyes. I then spent most of 2015 fully focused on revising, which is what propelled me most quickly toward a full manuscript ready to send out to readers (in December 2015). Likewise, after receiving reader reports (April 2016), I was able to spend most of the spring/summer/fall (minus moving to Philadelphia for my second postdoc, more on that below) revising and submitted the manuscript for copy-editing in December 2016. Publishing books can come with financial costs. Some of the things that an author may pay for include images, research assistance, manuscript workshops, editing, indexing, and book promotion. Depending on the nature of the postdoc, there may be some research or subvention funds that can help with these costs, but not always. I've had decent research/conference funds in both postdocs, but not enough to cover all the book costs in addition to conference travel. Neither of my postdoc institutions had subvention funds available for postdocs and my work didn't fit the few competitive subvention fund opportunities I found, so I self-funded a few things. Enlisting Faith has a 25-image photo essay, which was possible in part because almost all the images I used were taken by Signal Corps, Farm Security Administration, or other government photographers, which means they are in the public domain and free to reproduce. It does not mean that high-resolution versions are easily available, however. I was very lucky that the Naval History and Heritage Command posted a treasure trove of images online, including high-resolution versions, in the spring of 2016, which greatly enabled easy access to high-quality images. I paid for the Library of Congress to re-scan a couple images at high resolution, and contacted a number of museums and other repositories for others. (Pro-tip: if no one responds to an email, pick up the phone.) In the end, I only paid a couple hundred dollars total for images, but costs can run much higher, so it's worth thinking about this upfront. I recall reading Karen Tani's really helpful post on her book manuscript workshop and brainstorming how to approximate it. I didn't have access to funds to bring people in to read my manuscript, so I got creative. After I received reader reports from the press and began revising, I gathered a handful of colleagues and friends to read my manuscript and discuss it after a conference we were all attending. I provided lunch and they provided excellent feedback. It wasn't the same as hosting senior scholars and editors, but it enabled me to get comments at a crucial juncture. If you're not in a position to host a formal manuscript workshop, an existing conference and willing colleagues can be an effective alternative. There's only so much one can reasonably ask of generous colleagues, however, so there comes a time when you may want or need to pay someone to help with other publishing-related tasks, such as reviewing a copy-edited manuscript or indexing. There are dueling schools of thought about the value of doing an index yourself or outsourcing it, but it often comes down to a time/money decision: do you have the time to do it or the money to pay someone to do it? The only right answer is whichever one works for you, but again, it can be helpful to anticipate this scenario and plan accordingly, either by bracketing time or setting aside money. The uncertainty of the postdoc years also presents challenges and opportunities. Because a postdoc is, by definition, term-limited, part of the time will be devoted to figuring out what comes next, and how the book may (or may not) play into that future. This process takes away from research and writing time and can be emotionally draining, so it's important to calibrate expectations. Even in the best-case scenario of a multi-year postdoc, a good chunk of time will not be available for the book. Similarly, the actual process of moving (preparing to move, securing housing, packing/moving, and settling into a new place) is time-intensive. It's perhaps an obvious point, but I always underestimate how physically and emotionally taxing it is to move and how much time is lost in that period, best intentions notwithstanding. These are the downsides of writing during temporary, uncertain periods. But there is also a big upside: freedom. I wrote the book I wanted to write. I responded to reader reports and my editor, of course, but I was writing to achieve my intellectual and narrative goals rather than trying to satisfy a department or tenure committee. For me, it was liberating to envision a book on my terms and pursue that vision. I had something to say about the relationship between religion and the state in modern America--it's vigorous, dynamic, and powerful, albeit sometimes in unusual places and in unexpected ways--and I wrote Enlisting Faith to demonstrate it. The administrative state is suffering from a crisis of legitimacy. Many have questioned the legality of the myriad commissions, boards, and agencies through which much of our modern governance occurs. Scholars such as Jerry Mashaw, Theda Skocpol, and Michele Dauber, among others, have provided compelling institutional histories, illustrating that administrative lawmaking has roots in the early American republic. Others have attempted to assuage concerns through interpretive theory, arguing that the Administrative Procedure Act of 1946 implicitly amended our Constitution. Solutions offered thus far, however, have yet to provide a deeper understanding of the meaning and function of the administrative state within our constitutional framework. Nor have the lawmaking models of classic legal process theory, on which much of our public law rests, captured the nuanced democratic function of these commissions, boards, and agencies. This Article takes a different tack. It begins with an institutional history of the petition process, drawn from an original database of over 500,000 petitions submitted to Congress from the Founding until 1950 and previously unpublished archival materials from the First Congress. Historically, the petition process was the primary infrastructure by which individuals and minorities participated in the lawmaking process. It was a formal process that more closely resembled litigation in a court than the tool of mass politics that petitioning has become today. The petition process performed an important democratic function in that it afforded a mechanism of representation for the politically powerless, including the unenfranchised. Much of what we now call the modern “administrative state” grew out of the petition process in Congress. This Article offers three case studies to track that outgrowth: the development of the Court of Claims, the Bureau of Pensions, and the Interstate Commerce Commission. These case studies supplement dynamics identified previously in the historical literature and highlight the integral role played by petitioning in the early administrative state—a role unrecognized in most institutional histories. Rather than simply historical, this excavation of the petition process is distinctly legal in that it aims to name the petition process and to connect it with the theory and law that structure the practice. Excavating the historical roots of these myriad commissions, boards, and agencies in the petition process provides a deeper functional and textual understanding of the administrative state within our constitutional framework. First, it highlights the function of the administrative state in facilitating the participation of individuals and minorities in lawmaking. By providing a mechanism of representation for individuals and minorities, the “participatory state” serves as an important supplement to the majoritarian mechanism of the vote. Second, it offers new historical context against which to read the text of Article I and the First Amendment. This new interpretation could begin to calm discomfort, at least in part, held by textualists and originalists with regard to the administrative state. Lastly, this Article offers a few examples to illustrate how this new interpretation could provide helpful structure to our administrative law doctrine. With its concern over procedural due process rights, administrative law largely reflects the quasi-due process protections offered by the Petition Clause. This Article explores two areas where the Petition Clause could direct a different doctrinal result, arguing for a stronger procedural due process right for petitioners of the administrative state than that offered by Mathews v. Eldridge and arguing against the Supreme Court’s decision in INS v. Chadha holding the legislative veto unconstitutional. Madeleine's Children uncovers a multigenerational saga of an enslaved family in India and two islands, Réunion and Mauritius, in the eastern empires of France and Britain during the eighteenth and nineteenth centuries. 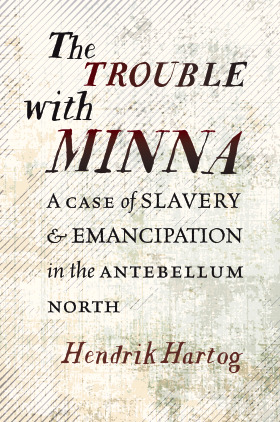 A tale of legal intrigue, it reveals the lives and secret relationships between slaves and free people that have remained obscure for two centuries. As a child, Madeleine was pawned by her impoverished family and became the slave of a French woman in Bengal. She accompanied her mistress to France as a teenager, but she did not challenge her enslavement there on the basis of France's Free Soil principle, a consideration that did not come to light until future lawyers investigated her story. In France, a new master and mistress purchased her, despite laws prohibiting the sale of slaves within the kingdom. The couple transported Madeleine across the ocean to their plantation in the Indian Ocean colonies, where she eventually gave birth to three children: Maurice, Constance, and Furcy. One died a slave and two eventually became free, but under very different circumstances. On 21 November 1817, Furcy exited the gates of his master's mansion and declared himself a free man. The lawsuit waged by Furcy to challenge his wrongful enslavement ultimately brought him before the Royal Court of Paris, despite the extreme measures that his putative master, Joseph Lory, deployed to retain him as his slave. A meticulous work of archival detection, Madeleine's Children investigates the cunning, clandestine, and brutal strategies that masters devised to keep slaves under their control-and paints a vivid picture of the unique and evolving meanings of slavery and freedom in the Indian Ocean world. The Stanford Center for Law and History and the Stanford Humanities Center will be holding a one-day conference on "Legal Histories of Policing and Surveillance" on April 20, 2018, from 8:30 AM - 5 PM. Full schedule information is here. Seating is limited for the full-day conference and will be filled on a first come, first served basis. Registration is available here. The conference includes a keynote address from 4-5 PM by Professor Michael Willrich, Brandeis University History Department, entitled: "Writ of Hocus Pocus": Anarchists and the U.S. Surveillance State. Registration is not required if attending only the keynote. There is no book of political strategy more canonical than Niccolò Machiavelli's The Prince, but few ethicists would advise policymakers to treat it as a bible. The lofty ideals of the law, especially, seem distant from the values that the word "Machiavellian" connotes, and judges are supposed to work above the realm of politics. In The Judge, however, Ronald Collins and David Skover argue that Machiavelli can indeed speak to judges, and model their book after The Prince. As it turns out, the number of people who think that judges in the U.S. are apolitical has been shrinking for decades. Both liberals and conservatives routinely criticize their ideological opponents on the bench for acting politically. Some authorities even posit the impossibility of apolitical judges, and indeed, in many states, judicial elections are partisan. Others advocate appointing judges who are committed to being dispassionate referees adhering to the letter of the law. However, most legal experts, regardless of their leanings, seem to agree that despite widespread popular support for the ideal of the apolitical judge, this ideal is mere fantasy. This debate about judges and politics has been a perennial in American history, but it intensified in the 1980s, when the Reagan administration sought to place originalists in the Supreme Court. It has not let up since. Ronald Collins and David Skover argue that the debate has become both stale and circular, and instead tackle the issue in a boldly imaginative way. In The Judge, they ask us to assume that judges are political, and that they need advice on how to be effective political actors. Their twenty-six chapters track the structure of The Prince, and each provides pointers to judges on how to cleverly and subtly advance their political goals. In this Machiavellian vision, law is inseparable from realpolitik. However, the authors' point isn't to advocate for this coldly realistic vision of judging. Their ultimate goal is identify both legal realists and originalists as what they are: explicitly political (though on opposite ends of the ideological spectrum). Taking its cues from Machiavelli, The Judge describes what judges actually do, not what they ought to do. 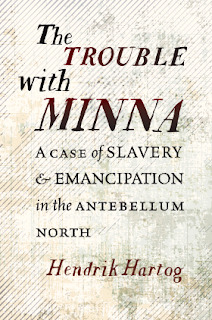 Out now as an ebook and with a publication date just days away is The Trouble with Minna: A Case of Slavery and Emancipation in the Antebellum North by Hendrik Hartog, the Class of 1921 Bicentennial Professor in the History of American Law and Liberty and the director of the Program in American Studies at Princeton University. Professor Hartog will discuss the book on two occasions (that we know of) next month. On Monday, April 9, from 12:00pm to 1:00pm he will speak at the William G. McGowan Theater in the National Archives Building on Pennsylvania Avenue, NW in Washington, DC. You may tune in to the event live on YouTube. Then, on a space available basis, members of the public may also attend Professor Hartog's book talk under the auspices of Law and Public Affairs Program in on Monday, April 30, at 12:10pm in Bowl 1, Robertson Hall, Princeton University. 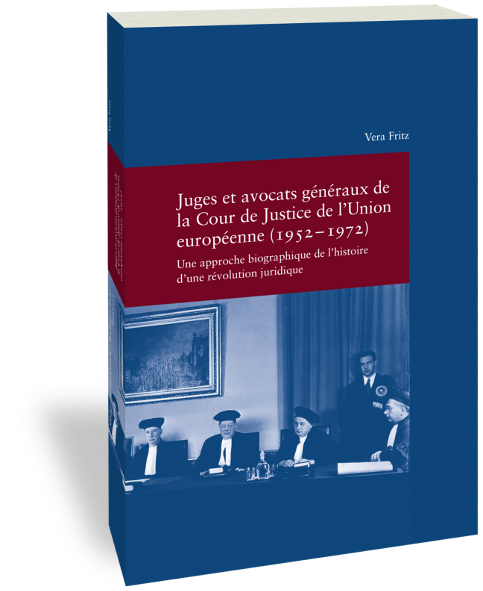 Vera Fritz, Juges et avocats généraux de la Cour de Justice de l'Union européenne (1952-1972): Une approche biographique de l'histoire d'une révolution juridique. (Studien zur europäischen Rechtsgeschichte 312), Frankfurt am Main: Klostermann 2018, ISBN 978-3-465-04350-8, IX, 396 p.
Drawing on archives assembled in the six founding member states of the European Union, the new French-language volume in the series "Studien zur europäischen Rechtsgeschichte" offers a new perspective on the"constitutionalisation process" of the European treaties that were launched in the 1960s by the EU Court of Justice. It examines the dynamics that prevailed within the institution during its revolutionary years and highlights the professional and personal backgrounds of the first European judges and Advocates General, some of whom help shape some of the most well-known and commented judgments of the Court. The author seeks to understand how the judges succeeded in seriously limiting the sovereignty of the member states without provoking a rebellion by national decision-makers. The book focuses on the Court's political network and the relationship of judges with the governments of the member states. Through a detailed study of the selection process of the members of the Court, this monograph also provides answers to the question of whether governments tried to put an end to its bold jurisprudence by changing the composition of the bench of judges. For more information and TOC, see the website of the Max Planck Institute for European Legal History. Barnett and Bernick on the Original Meaning of "Due Process of Law"
Enlisting Faith is a book about the military chaplaincy, which also means it’s a book about bureaucracy. Analytically, it follows Sophia Lee’s lead in finding legal history outside the courts and, in particular, “focus[ing] on an omnipresent constitutional force in the modern American state: administrative agencies.” But, it turns out, telling people you’re writing about “administrative agencies” or “government bureaucracy” can elicit looks of horror—a reaction, I tend to think, that this research might be the narrative equivalent of standing in line at the DMV. I wanted to write a book that spoke to historians while being accessible to the very people I was writing about: chaplains. As a result, after I figured out the structure of Enlisting Faith, I spent a lot of time sculpting prose. I use sculpting deliberately, because I think the work of revision is often akin to that of shaping and reshaping clay to find the right form. Each round of revisions meant cutting words to tighten chapters, breaking apart and rebuilding sentences, reconsidering word choices, and rethinking pacing through lines, paragraphs, and sections. The winnowing process forced me to think about what was truly necessary to substantiate the argument I wanted to develop and what got in the way of the story I wanted to tell. I spent one summer methodically working through chapters with the primary purpose of trimming, and then one reader report suggested I prune some more. Which I did: reluctantly at first and then more gleefully toward the end. I made myself a sign, “is this really necessary?” and trucked on. We often talk about being in conversation with other scholars, but when it comes to crafting prose, it’s helpful to find models. Using models effectively requires reading like a writer—setting aside the content and argument in order to dissect how an author put together a sentence, a paragraph, a scene, a chapter. In this context, content is irrelevant. Any writing on any topic can elicit reactions, good or bad. Do I want to keep reading or stop reading? Am I enthralled, jarred, or bored? Why? Describing complex phenomena in simple language, evoking a sense of place, using rhythm to create energy, deploying explanations at just the right moment are techniques available to everyone, as long as we're paying attention. When I read, I'm often thinking about what I can emulate. In fact, giving myself writing exercises that borrow other authors' methods, structures, and language has helped me get out of writing ruts, even if the resulting document stays stashed on my hard drive. To think about chapter openings and closings, for example, I turned to Michael Willrich’s Pox: An American History. I had long admired how Willrich used opening scenes to draw readers toward his argument and ended with transitions that connected back to the opening and gestured toward the next chapter. I read, reverse-outlined, and reread the beginnings and ends of Willrich’s chapters to turn them into models or templates for my own. As I worked on creating scenes to open each chapter, I also turned to a number of books on writing. In particular, I read a lot of guides for journalists and narrative non-fiction writers. One of my favorites, Telling True Stories, is a compilation of mini-essays that delve into the craft of writing. From generating ideas and shaping characters to building narrative momentum and polishing description, authors discuss what worked and what didn’t, routes rejected and routes followed. The chapters are short, so I often read a couple before bed at night, jotting down ideas to adopt or adapt. Moreover, they reminded me that "good prose" is always a matter of "good for what? good for whom? good for what end?" As I reworked my manuscript, I often referred to these chapters when I was stuck or I though a scene or a section could be more precise or engaging. Similarly, Jack Hart’s Storycraft: The Complete Guide to Writing Narrative Nonfiction, provides an editor’s view of helping writers find their voice, develop style, alter point of view, vary sentence structure, and hone their point. While he writes based on his experience in the newsroom, most of his advice applies to historical narrative as well. Listening to an editor think aloud also gave me a way to process the comments I received from my editor, from reader reports, and from generous colleagues who read all or parts of my manuscript. Feedback is essential to the revision process, but making it as effective as possible requires a team of readers with different strengths. I have a cadre of mentors, peers, and friends who play different roles as trusted reader-editors. Some are better at refining large-scale arguments, while others are line editors who tweak at the sentence or phrase-level. Some remind me about the value of topic sentences, while others get emails from me with subject headings such as “Please fix this sentence. Thank you.” Some are cheerleaders, others are persnickety critics. Some identify where a chapter stops working while others can parse why an explanation remains illegible. A book needs all kinds. It sounds obvious as I write it, but the key is to know who can provide what kind of feedback and then ask the right person for the feedback you need. In my next post, I’ll talk about how working through book revisions as a postdoc came with challenges and benefits. President Donald Trump's rhetoric and behavior have given rise to numerous doubts about his willingness to adhere to basic norms of the American constitutional and political system. Some have even worried that his evident disrespect for the American judiciary might lead him to defy an adverse judicial ruling and reject the significance of constitutional and legal checks on the presidency. Such worries reflect the real vulnerability of courts to political backlash and the political bounds of effective judicial independence. Even so, there is good reason to think that Trump's bark is worse than his bite when it comes to the courts. While Trump himself might not be very invested in the integrity and authority of the federal courts, political elites in both political parties are heavily invested in the preservation of a judiciary capable of articulating and enforcing limits on government power. The president would quickly find himself politically isolated were he to launch a serious assault on the courts. 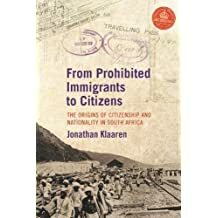 Jonathan Klaaren blends legal and social history in this engaging account of early conceptions of South African citizenship. He argues that distinctively South African notions of citizenship and nationality come out of the period 1897 to 1937, through legislation and official practices employing the key concept of ‘prohibited immigrant’ and seeking to regulate the mobility of three population groups: African, Asian and European. Further, he makes the case that the regulation and administration of immigrants from the Indian sub-continent, in particular, provided the basis for the vision and eventual reality of a unified, although structurally unequal, South African population. This book fits into the growing field of Mobility Studies, which seeks to understand and document the migration of people both within and across national borders, while exploring the origins of those borders. In addition to nationality and citizenship, it touches on African pass laws, the origins of the Public Protector, the scheme importing Chinese labour to the gold mines, the development of internal bureaucratic legality, and India-South Africa intra-imperial relations. With its attention to the role of law in state-building and its understanding of the central place of implementation and administrative law in migration policy, this book offers a distinctive focus on the relationship between migration and citizenship. Sasha Ingber reports in the Washington Post Magazine on Democratic Erosion, a course originating with Robert Blair at Brown University that’s now being taught at ten American universities on three big questions: “Is America’s democracy at risk? If it is, how would we know? If it’s not, why are we all so freaked out that it is?” The WaPo story is here. The course’s website is here. Thanks to Friend of the Blog Joanna Grisinger, we have news that the ACLU is “looking for a part-time Curatorial Assistant ASAP until August, w/ either an extension or new vacancy" for "the ACLU's 100th Anniversary exhibition(s)." Interested persons should send their resumes to ACLU100th@gmail.com. More. 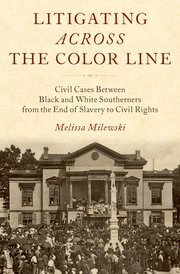 One of the key contributions Melissa Milewski makes in her important new book, Litigating Across the Color Line, is a novel and rather surprising answer to a central question for historians of race and the law: why, in the period between Reconstruction and the modern civil rights era, did African Americans maintain such faith in the courts? Every era has its unique challenges, but history may still offer lessons on how law empowers and restrains presidents. 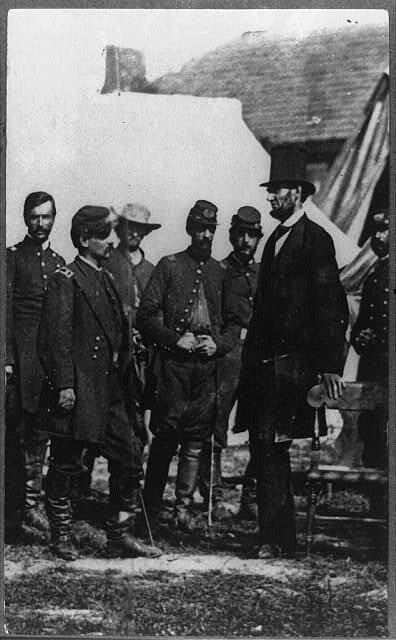 This lecture examines how Lincoln negotiated the tension between crisis authority and the rule of law. This analysis requires an appreciation of the wartime imperatives, institutions, and political forces confronting Lincoln and of the legal framework in which he acted. Similar issues unexpectedly arose in our times in the aftermath of the 9/11 attacks, providing a new point of comparison with Lincoln’s era. We need to better understand how political actors and institutions, the media, and public opinion can provide support for legal norms, lest we place all of our trust in Presidential self-restraint and good judgment. Welch, "Black Litigants in the Antebellum American South"
More information is available on the UNC Press website -- and will be available here, after Professor Welch starts her upcoming guest blogging stint! Saul Cornell, in Politico, for those marching today. Plan B for Legal Historians Department. A Movie Night We're Sorry We Missed: A screening of Adams Rib and discussion by Annette Gordon-Reed and Justice Robert R. Reed in the Justice in Film series at the New-York Historical Society last night! W. Lewis Burke will lecture on his book, All for Civil Rights: Black Lawyers in South Carolina, 1868-1968 on March 28 at 5 p.m. A reception and book signing will follow the lecture. More. ICYMI: Adam Winkler, UCLA Law, discusses We the Corporations in an ABA Journal podcast. 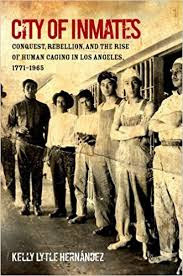 This review examines Kelly Lytle Hernández’s book City of Inmates: Conquest, Rebellion and the Rise of Human Caging in Los Angeles, 1771-1965. The book argues for a recognition of the unacknowledged extent to which so much of our criminal enforcement system — and particularly the growth of the carceral state — embodies a broader settler-colonial project. The enslavement and the continued subjugation of African Americans is an essential component of this story. Hernández’s work situates the legacy of slavery in the broader settler-colonial frame, while simultaneously bringing into focus the ways that the elimination of indigenous peoples and related imperialist foreign policy objectives have also been important ingredients in the evolution of the contemporary criminal enforcement system. She not only provides details of events and developments that are overlooked in some other accounts, but also complicates our understanding of some well-known developments, including the growth of the federal prison system, the development and enforcement of vagrancy laws, and the interplay between immigration enforcement and criminal enforcement. Hernández’s history of Los Angeles tells a story of the rise of mass incarceration that looks different from the story captured in other widely read, high-level accounts. Her specific and distinctive geographic focus allows her to think about how various bodies of laws and a multiplicity of state actors were interacting in synergistic ways to generate a system of social control that generally served the ends of white settlers of the Los Angeles basin at the expense of its indigenous inhabitants as well as of poor, itinerant workers, Chinese immigrants, Mexicans and Mexican Americans, and black Angelinos. In telling this story, however, Hernández departs from several conventions of legal academic analysis. First, she ignores formalistic divisions among carceral categories. Second, she blurs more boundaries by interweaving her discussion of sites of incarceration with discussions of broader mechanisms of social control, particularly street policing. Finally, as set forth in section C, she upends the traditional focus on federal crime control policies and programs in favor of a multilevel analysis of governmental policies and practices designed to facilitate the creation of a white settler city. By collapsing the boundaries between interconnected systems and practices that are formally separate, Hernandez illuminates the common logics behind laws and policies that are often treated as unrelated. The intellectual act of drawing connections between these formally unrelated systems and practices is essential to the reform of our current system of criminal enforcement. French jurist Léon Duguit (1859-1928) was a theorist of the modern state and its relationship to law. His work on the nature of property and ownership, defining them as social functions, was an important step towards dismantling the conceptual wall between public and private law. He sought to apply sociological and scientific analysis to his study of law and the state. This chapter explores Duguit’s thought with particular reference to Roman Catholicism as a deeply embedded aspect of French culture. While little of his work expressly invokes Christianity, his turns towards solidarity and public service in the area of public law and his development of the social function of property in the area of private law reveal a level of concordance with Roman Catholic thought in late-nineteenth- and early-twentieth-century France. Despite Duguit’s lack of engagement with the Church’s teachings in his scientific exploration of the state and law, his relationship to Catholicism remains difficult to determine. 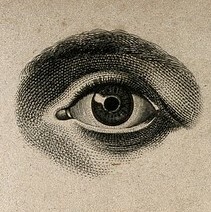 The Church and Christianity presented themselves to Duguit as social and political phenomena to be recognized, respected, observed, and theorized. As a good lay sociologist of law, Duguit considered the Church in his work and throughout his life. This chapter surveys fiduciary principles in Western European civil law jurisdictions. Focusing on France and Germany, we suggest that functional equivalents to fiduciary duties have developed on the Continent, although they do not always carry exactly the same connotations as their common law counterparts. We suggest that the common law developed fiduciary duties as a distinct category largely for two reasons. First, the common law distinguished between law and equity, with fiduciary law developing within equity. By contrast, contracts law required consideration, which meant that fiduciary principles for gratuitous actions necessarily arose outside of contract law. Civil law generally did not develop this particular categorization. For example, the paradigmatic fiduciary relationship, the mandate (agency), is by default a gratuitous contract. Consequently, the lines between fiduciary and contract law remained blurred. Second, common law bargaining for contracts emphasizes part autonomy more strongly, while the civil law of contracts incorporated a stronger duty of good faith, thus making it more hospitable to an implied and inchoate loyalty obligation. The duty of loyalty in civil law jurisdictions is not categorically different from such duties, but exists on a continuum with them. Consequently, civil law duties of loyalty in those relationships that would be considered fiduciary under the common law can be seen as an extension of weaker loyalty obligations elsewhere. We survey the civil law of agency, equivalents of trust, as well as corporate and financial law. Germany and countries influenced by German law began to identify duties of loyalty in corporate and trust relationships in the middle of the 20th Century and identified them as a larger civil law principle permeating different areas of law. France and related jurisdictions have been more reluctant to adopt such duties, and have been more likely to rely on specific statutory prohibitions to reach similar results. This Essay explores the seminal role played by SEC v. Texas Gulf Sulphur in establishing Rule 10b-5’s use to create a remedy against corporations for misstatements made by their officers. The question of the corporation’s liability for private damages loomed large for the Second Circuit judges in Texas Gulf Sulphur, even though that question was not directly at issue in an SEC action for injunctive relief. The judges considered both construing narrowly "in connection with the purchase or sale of any security," and the requisite state of mind required for violating Rule 10b-5. We explore the choices of the Second Circuit judges by analyzing not only material available in the published opinions, but also the internal memos that the judges circulated among themselves prior to issuing the decision. Ultimately, the Second Circuit majority construed "in connection with" broadly, a choice ultimately validated by the Supreme Court. The Second Circuit's choice of negligence for SEC injunctive actions, however, was rejected by the Supreme Court for both private plaintiffs and the SEC. Award winning author Gregory S. Kealey’s study of Canada’s security and intelligence community before the end of World War II depicts a nation caught up in the Red Scare in the aftermath of the Bolshevik Revolution and tangled up with the imperial interests of first the United Kingdom and then the United States. Spying on Canadians brings together over twenty five years of research and writing about political policing in Canada. Through itse use of the Dominion Police and later the RCMP, Canada repressed the labour movement and the political left in defense of capital. The collection focuses on three themes; the nineteenth-century roots of political policing in Canada, the development of a national security system in the twentieth-century, and the ongoing challenges associated with research in this area owing to state secrecy and the inadequacies of access to information legislation. This timely collection alerts all Canadians to the need for the vigilant defence of civil liberties and human rights in the face of the ever increasing intrusion of the state into our private lives in the name of countersubversion and counterterrorism. John Fabian Witt (Yale Law School) has posted three new pieces on SSRN. In the wake of the Civil War, Columbia Law School professor Francis Lieber, architect of some of the Lincoln administration's most important legal strategies, set out to write a definitive text on martial law and the emergency power. Lieber’s text would have summed up his view of the legal lessons of the Civil War. Lieber died in 1872, leaving an unfinished manuscript to his son, Guido Norman Lieber, soon to become the Judge Advocate General of the Union Army. Norman Lieber worked on the manuscript but never finished it. Hidden deep in the younger Lieber’s papers in the National Archives, the manuscript summarizes a strand of thinking about constitutional emergencies that first emerged in the controversies over slavery, then animated Emancipation and the broader legal strategy of the Lincoln White House, before running headlong into the post-war backlash signaled by the Supreme Court’s 1866 decision in Ex Parte Milligan. Building on debates over martial law in Anglo-American empire, the Liebers’ thinking embraced a forceful but constrained approach that made a cabined form of necessity the central principle of emergency governance in the modern state. We've mentioned previously Professor Witt's delivery of the Hands Lecture, on "Adjudication in the Age of Disagreement." Here's the full text, as published in Volume 86 of the Fordham Law Review (2017). The oft-anthologized short story “An Occurrence at Owl Creek Bridge” by Union Army veteran Ambrose Bierce — long a staple of high school curricula and the subject of music videos, television, and film — is not typically thought of as a study in the dilemmas of humanitarian law. But it is. It depicts an execution for violation of the laws of war. Even better, the text embodies a central tension in the laws of war, one that emerged in Bierce’s time and persists today. On the one hand stands a sentimental humanitarianism that aims to minimize the human suffering of war; Henri Dunant’s book, A Memory of Solferino popularized this stance and helped establish the International Committee of the Red Cross in 1863. On the other hand, a righteous humanitarianism chafes at the constraints that sentimental humanitarianism places on the pursuit of justice. Romantic nationalists like the Prussian-American political thinker Francis Lieber, whose code of rules for the Union Army was published a year after Dunant’s book, embrace the righteous justice of particular causes. Bierce’s “Owl Creek” straddles the two planks of the modern laws of war, conveying the power of both views. 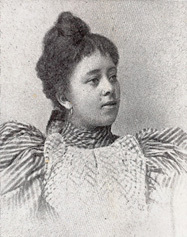 In the fall of 1898, the Chicago Tribune hailed Lutie A. Lytle of Topeka as the “only female law instructor in the world.” Notwithstanding this purported shattering of the legal academy’s glass ceiling, Lytle’s accomplishments — her path to the professoriate, and her career in the years following her appointment to the faculty of a Nashville law school — have been largely lost to historians of legal education. She is not among those honored or commemorated by our profession, and her name is largely unknown beyond a small circle of interest. The biographical sketch that follows fills this scholarly gap through an examination of Lytle as a historical figure, using contemporary newspaper accounts and other primary source material to provide context for her achievements and linking her life to previously understudied legal, political and social movements. Social justice practice is undergoing a revival. In a period of renewed energy we often look forward. But careful study of the existing structure and paths taken in the past is essential for successful initiatives. The history of the Center for Public Representation (CPR), a mid-western public interest law firm founded in 1974, contributes to the study. The CPR experience offers numerous lessons for those who seek to reinvent social justice lawyering: the importance of experimentation, the need for coordination of the local and national, and recognition of the potential law schools can play in the revival. The 40-year history was driven by a mixture of local politics and legal culture, individual passion and energy, and national movements and resources. There is continuity but it is possible to show three distinct periods in the life of the firm. The founding moment took place from 1974-84. The founders chose a non-profit tax-exempt format that was a hybrid of a free-standing public interest law firm and a University of Wisconsin law school clinic. With long-term funding unavailable, CPR developed innovative funding strategies and explored multiple arenas and modalities. The second moment embraces the late 1980s and 90s. CPR paid more attention to poverty and opened a community law office while the school added a course on poverty law. The state of Wisconsin privatized some health and welfare services forcing the lawyers and students to develop new ways to voice the concerns of the affected people. The CPR hybrid was under stress as support for clinics grew and for public interest law waned. In the third moment, 2002-present, CPR reinvented itself as the Economic Justice Center (EJC). The redesign was prompted by financial difficulties, shifts in legal and political atmosphere, and the success of clinical teaching. The free-standing public interest law firm was cut back. The history highlights the choices facing today's practitioners; how to develop long-term strategies, initiate networks and scale up practices, utilize law school resources, and exploit available technology. This paper argues that Senator John Sherman of Ohio was motivated to introduce an antitrust bill in late 1889 partly as a way of enacting revenge on his political rival, General and former Governor Russell Alger of Michigan, because Sherman believed that Alger personally had cost him the presidential nomination at the 1888 Republican national convention. When discussing his bill on the Senate floor and elsewhere, Sherman repeatedly brought up Alger’s relationship, which in reality was rather tenuous, with the well-known Diamond Match Company. The point of mentioning Alger was to hurt Alger’s future political career and his presidential aspirations in 1892. Sherman was able to pursue his revenge motive by combining it with the broader Republican goals of preserving high tariffs and attacking the trusts. As a result, this paper reinforces previous public choice literature arguing that the 1890 Sherman Act was not passed in the public interest, but instead advanced private interests. This Essay argues that several principles associated with modern international investment law and dispute resolution arose in the wake of the American Revolution, as the revolutionaries and Britons sought to restructure trade relations, previously regulated by imperial law, under new treaties and the law of nations. They negotiated such problems as the currency in which international debts would be paid; the ability of foreign creditors pursue domestic collection remedies; whether creditors had to exhaust those remedies before their nation could resort to international arbitration; and the form of state-state arbitration of private disputes. The specific setting of these negotiations — the aftermath of a colonial settler revolution — narrowed the compass of disagreement, compared to many later postcolonial negotiations. In addition, the negotiations assumed that the exhaustion of national remedies remained the standard method of resolving private debt disputes. Notwithstanding these important differences, the principles and institutions developed after an imperial civil war influenced the development of international investment law. This Article develops the argument that the Federal Constitution of 1787 was conceptualized, drafted, and put into operation not only for American citizens but also for foreign audiences. In a world without supranational governing institutions, a constitution — at least, the Federal Constitution — might serve to promote peaceable international relations based on reciprocal trade and open credit. That at least was the Enlightenment-inflected hope. Did it work? If early Americans engaged in constitution-making in large part to demonstrate their capacity for self-government, self discipline, and commercial openness to foreign audiences, did anyone notice? Or was it all, regardless of diplomatic purposes and consistent with the conventional account of the American Founding, just an intramural affair? This Article argues that many foreigners did notice, not least because some of them had participated in the process of reform. Although no foreigners intervened directly in drafting or ratification, international demands, incentives, and reactions shaped the way that leading American Framers pursued constitution making. After a “foreign ratification debate” that stretched into the first years of the Washington Administration, Britain normalized diplomatic relations with the United States and substantial capital investment followed. In 1791, the British Board of Trade approvingly analyzed the Constitution in a report designed to guide the Privy Council as it drafted instructions for its first official envoy to the United States. 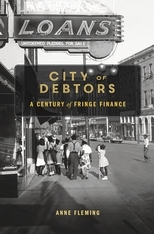 Within fifteen years, Britons were the largest holders of foreign investment in the United States, including state and federal “domestic debt,” or the restructured wartime certificates and loans that had floated the Revolution. In sum, Britons ultimately financed much of the project of American independence, and contemporaries believed that these credit relations would reduce, without eliminating, the prospect of renewed war. The Bard High School Early Colleges (BHSEC) seek to improve public education by offering a diverse group of public school students access to an enriched, challenging liberal arts and sciences college academic environment, thereby closing the gap between high school and college and giving underserved students the opportunity for an excellent college. Students graduate from BHSEC prepared to take upper level college courses, earn a baccalaureate degree, launch successful careers, and contribute to society. BHSEC provides younger scholars with a tuition-free, credit bearing college course of study in the liberal arts and sciences following the 9th and 10th grades. Students are taught by college faculty in seminar classes; they receive up to 60 college credits and an associate in arts (A.A.) degree from Bard College, concurrently with a high school diploma. Bard Early Colleges begin preparing students for college work as early as the 9th grade and offer ongoing guidance and academic supports. BHSEC operates as a partnership between Bard College and the New York City Department of Education and is accredited as a branch campus of Bard College. Thanks to a generous grant from the Historical Society of the New York Courts (HSNYC), Bard High School Early College Manhattan seeks applications for the fall 2017 Judith S. Kaye Fellowship in Humanities and the Law. This fellowship was established to fund the hiring of a visiting scholar or a faculty member each year to develop and teach a semester long college elective on the subjects of Justice and the Courts, Legal History in NYS, New York State Constitutional Law or topics more broadly related to the role of the courts in establishing and maintaining democracy in the United States and in New York State, more particularly. Course proposals that focus on a more narrow aspect of the law, such as Search & Seizure, the Right to Privacy, or the concept of Equality, are also encouraged and considered. The Judith S. Kaye Fellowship is intended to create a wealth of curricula developed for young people that could be made widely available to teachers around the state and country through HSNYC's web-site and other resources, to open a new discipline of study and inquiry for BHSECs' diverse students, leading not only to more educated citizens but to possible careers in law or criminal justice, and to sponsor scholarship in the field and contribute to the knowledge of the role of the New York Courts in shaping U.S. history and current events. Between 20 and 25 students would be able to register for the Kaye Fellow's course each semester it is offered. The Kaye Fellowship will bring a distinguished scholar to the BHSEC Campus at 525 East Houston Street to teach one three-credit college course in a one-semester appointment. The class will meet three times a week for 50 minutes over a semester running from early September to mid-January. This position is open to scholars in legal history, American constitutional law or legal studies. The Fellowship offers a modest stipend of $6500, and gives scholars the opportunity to develop innovative early college curriculum around the themes of Justice and the Role of the Courts, as well as to advise students and to present to the BHSEC community and the Historic Society of the Courts of New York. One of the big questions any author faces is how to structure a book. The options are, at least in theory, endless. And this can be a good thing: imagining a variety of fanciful options is one way to get out of a rut. In my case, however, the range of options was a little more confined. Since I was writing about the military chaplaincy over almost a century, I knew Enlisting Faith needed to move chronologically to make sense. But deciding on a chronological narrative clarified only the broadest possible contours of the structure. I knew the book would begin in 1917, with the American entrance into World War I, because the creation of the draft and concomitant mass mobilization of American men into the armed forces created pressure to rethink the chaplaincy. More specifically, it set off decades of conflict and negotiation—within and between military officials, religious leaders, and concerned citizens—about the religious composition of the chaplaincy. I didn’t have many answers, but I had a lot of ideas, thanks to a very productive dissertation defense that focused less on the dissertation as a product and more on its potential as a book. As a result, I stepped forward into the book process with a lot of suggestions to consider and questions to contemplate (aided by extraordinary notes graciously taken by legal historian Elizabeth Papp Kamali). Because I had a 2-year postdoc at the Danforth Center on Religion and Politics at Washington University in St. Louis with very light teaching responsibilities, I had a lot of time to puzzle my way forward. I use “puzzle” deliberately because I spent much of my time between my May 2014 dissertation defense and May 2015 book proposal experimenting with different plans for structuring the book. Throughout this process, I used a number of very low-tech tools. First: conversations with colleagues and mentors. As I debated the appropriate endpoint, agonizing over what date or event made the most sense and wondering whether it was even possible to access sources close to the present, I spent a lot of time talking. Access to scholars who hadn't been part of my dissertation process offered fresh perspectives that challenged me--in good, productive ways. Many of these discussions were verbal thought experiments: what if I end in 1975 or 1988 or 2001? 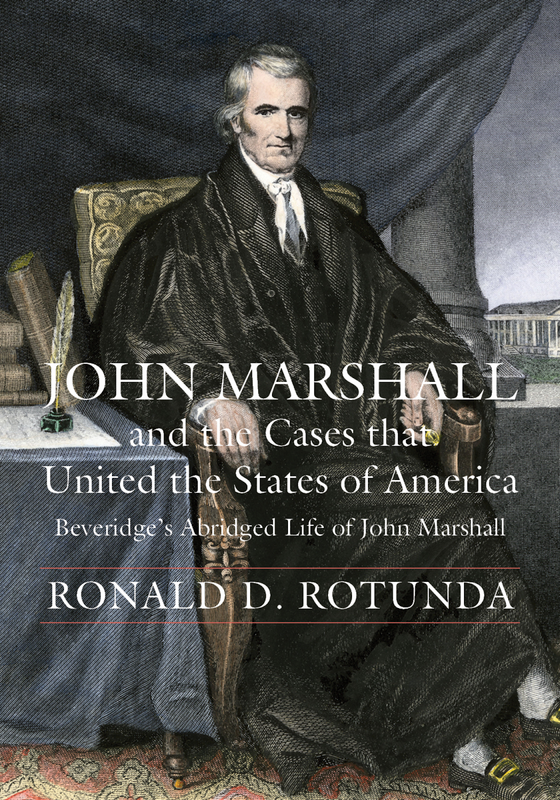 Is the book complete without Katcoff v. Marsh, Goldman v. Weinberger, or the War on Terror? The back-and-forth between my argument and my periodization helped clarify both. Second: a whiteboard. When I arrived in St. Louis, I asked for a white board to hang in my office. For several months, I started each week by writing a new possible chapter outline on the board and contemplating it all week. Should I keep the 6 chapters of the dissertation? Expand to 9 to create three sections of three chapters each? Did I even want separate sections? This, too, was an experimental and iterative process. The first two chapters stayed stable. The middle chapters kept changing. The final chapters changed even more. If the outline seemed viable, I’d take a picture before erasing it. If I hated it, I just erased it and moved on. This created a low-stakes way to test out structure without substantially altering any prose. (1) The different colors demonstrated pairs of chapters that sit within important temporal boundaries (World War I/interwar years; World War II; Korea and the Cold War; Vietnam and its aftermath). (2) The indentations marked a different set of pairs: chapters that mirrored one another in some fashion. The titles of chapter 1 and chapter 8 show this most explicitly. 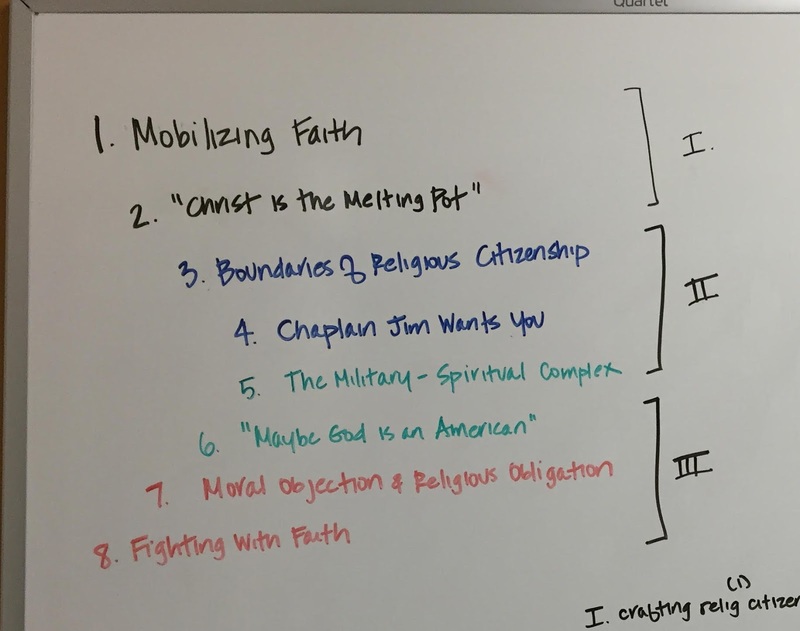 Chapter 1, “Mobilizing Faith,” focuses on how the chaplaincy begins to change as a result of the military using religion to pursue martial goals. Chapter 8, “Fighting with Fight,” highlights the legal, political, and religious conflicts that ensued—What are the boundaries of state management of religion? What religions are included and excluded? How do American politics of race and gender intersect in the chaplaincy? Thinking about mirrored processes helped me decide on the appropriate endpoint: the appointment of the first Muslim chaplain in 1994. (3) The roman numerals indicated three major periods in which war prompted the chaplaincy to forge a new sensibility about American religion that percolated through civilian society. In turn, soldiers and civilians reacted, often claiming or seeking new rights and transforming religion and state anew. These overlapping and braided structures organized Enlisting Faith, but only the last is explicitly mentioned in the book. This was intentional. As a historian, I needed to build the structures that undergirded and stabilized my argument. I therefore crafted numerous charts, tables, and diagrams to use as blueprints I could reference as I worked on the book. But as a writer, I didn't want exposed beams or visible cables to distract my reader, so I layered the narrative onto this foundation. Third: sticky notes. As I worked on the book structure, I also started playing with the structure of individual chapters. Some were easier than others, but when I got stuck I borrowed a technique from the world of design-thinking: use post-its to map and remap the flow of ideas. Unfortunately I don’t have a picture, but at one point, I mapped chapter 5 on a wall of my office using different colors for different topics and post-its for sub-topics to work out an order that flowed effectively. Here too, the goal was to try out and rearrange ideas without needing to constantly shuffle paragraphs. Once I settled on an order that flowed, I went back to my prose. I know there are tools like Scrivener that allow some of this experimentation on the screen. As a visual and tactile thinker, however, I found a whiteboard and markers, post-its and pens, to be quite effective. To put some of the dissertation-to-book changes in numbers, I offer the following comparison. My dissertation was 125,000 words (excluding notes) spread over 6 chapters. Enlisting Faith is 100,000 words (excluding notes) relayed in 8 chapters. As you can see, the book is shorter than the dissertation and includes more chapters. In my next post, I’ll talk about writing, revising, and sculpting prose.